These wheel-thrown clay bowls are glazed with vibrant tribal colors and all are food safe. 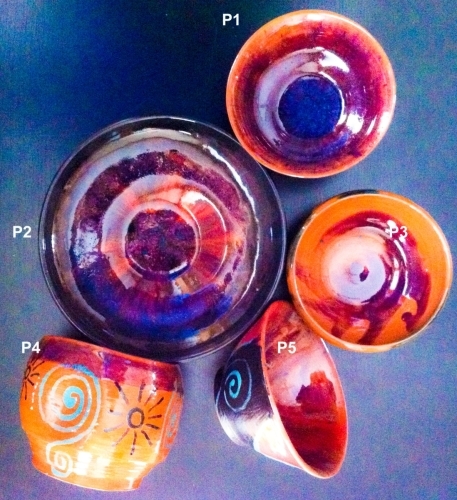 A potters wheel was used to form these bowls using a reddish-colored clay body, a splash of bright purple glaze color and other tribal glazes. 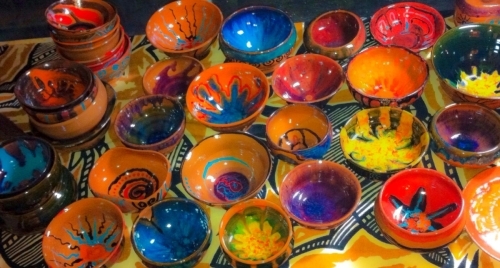 The bowls are food safe, but should be washed by hand to preserve the intense colors. A potters wheel was used to form these bowls using a reddish-colored clay body, a splash of bright red glaze color and other tribal glazes. 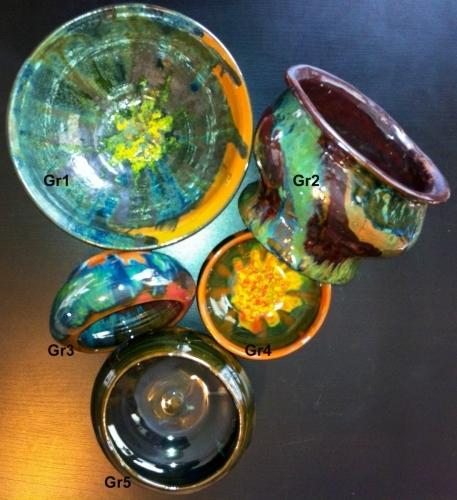 The bowls are food safe, but should be washed by hand to preserve the intense colors. 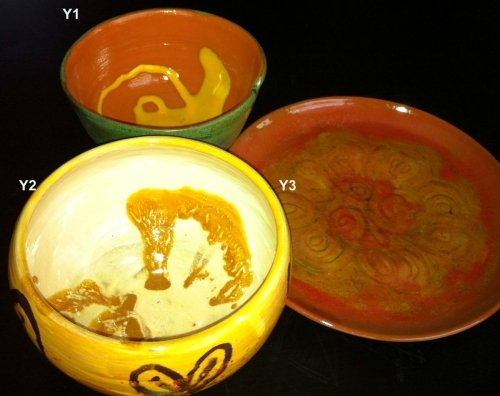 A potters wheel was used to form these bowls using a reddish-colored clay body, a splash of bright yellow glaze color and other tribal glazes. 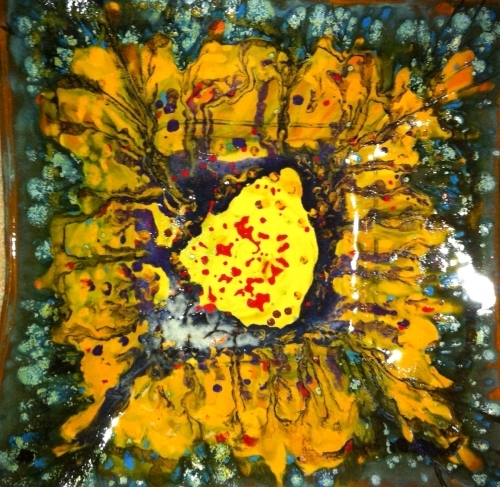 The bowls are food safe, but should be washed by hand to preserve the intense colors. 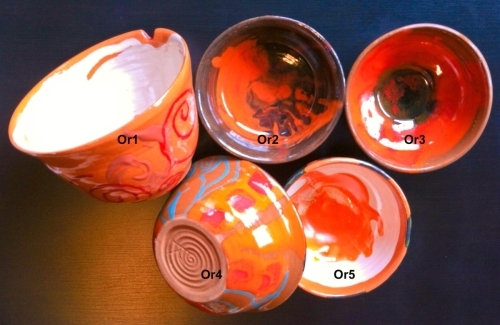 A potters wheel was used to form these bowls using a reddish-colored clay body, a splash of bright orange glaze color and other tribal glazes. 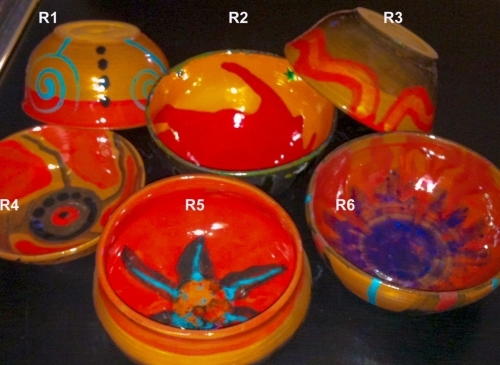 The bowls are food safe but should be washed by hand to preserve the intense colors. 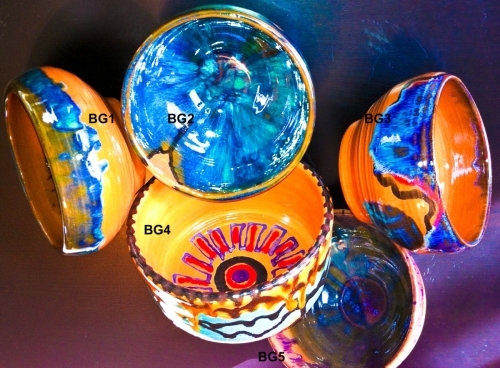 A potters wheel was used to form these bowls using a reddish-colored clay body, a splash of bright blue-green glaze color and other tribal glazes. The bowls are food safe, but should be washed by hand to preserve the intense colors. 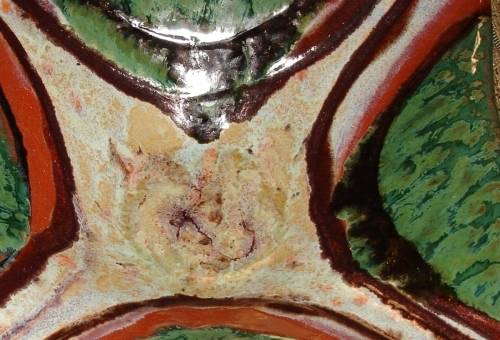 A potters wheel was used to form these bowls using a reddish-colored clay body, a splash of bright green glaze color and other tribal glazes. The bowls are food safe, but should be washed by hand to preserve the intense colors. 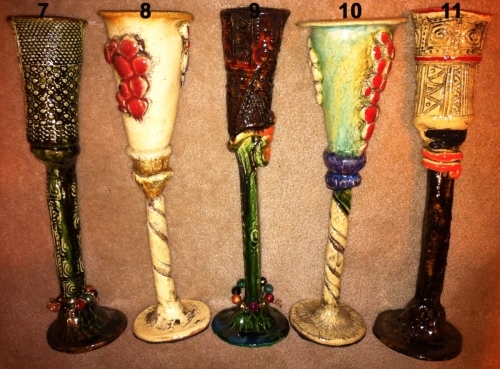 Kanika has created a unique set of textured, ceramic goblets which can be used to drink wine or other spirits, or contain tapered candles. They make excellent wedding or other gifts and they look fabulous on a mantlepiece or with treasured china/pottery. 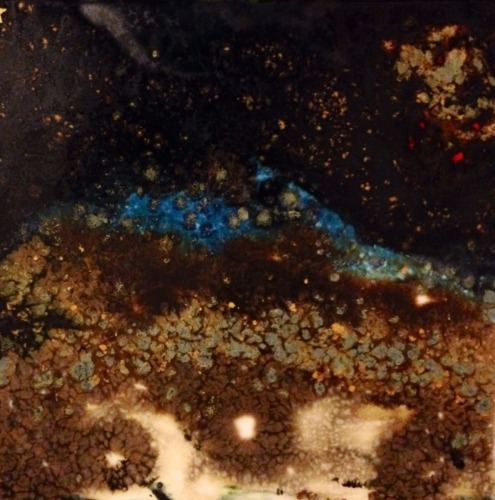 This lovely 12"x12" tile is mounted on a cork base making it the perfect tile trivet which can be used as serving platform for hot cooking pots. The trivets may be placed on a table or next to the stove. It also has hanging hardware so it can be hung on a wall. This hand-carved square clay platter may be used as a centerpiece for a table, functional serving platter, or a beautiful sculpture, either indoors or outdoors. 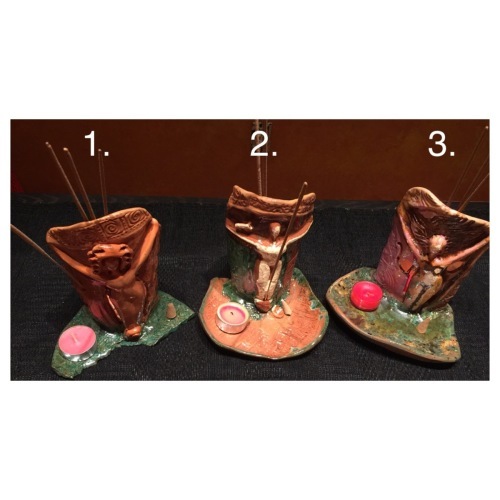 These incense burners have a built-in foot which can contain falling ashes, as well as hold candles, cone incense or other items (like business cards and chocolates). Incense sticks may be housed just behind the Goddess. 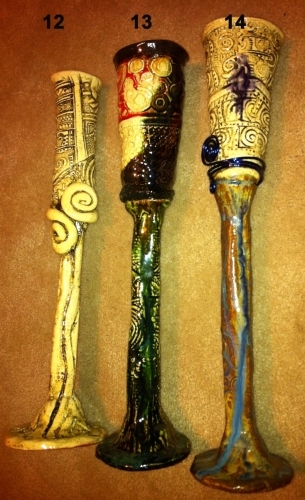 The back of the incense burners may also contain candles or small pots for flowers. Incense sticks may be housed just behind the Goddess. 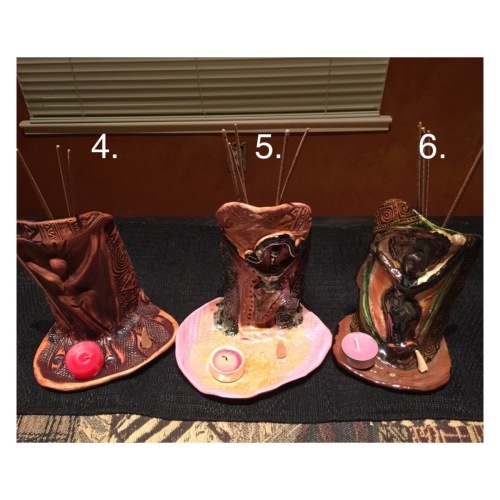 The back of the incense burners may also contain candles or small pots for flowers.